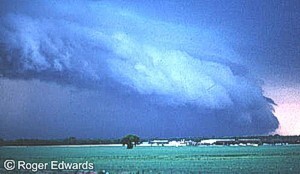 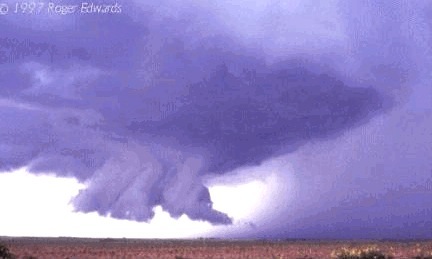 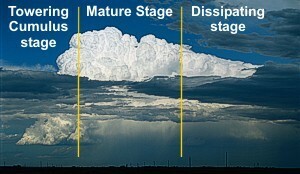 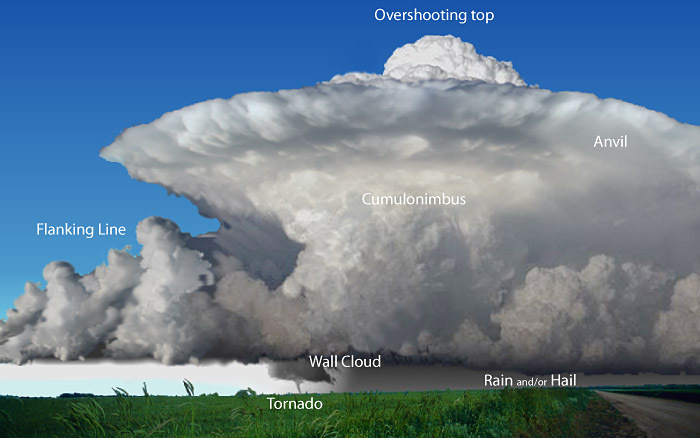 for supercells occur when the winds are veering or turning clockwise with height. 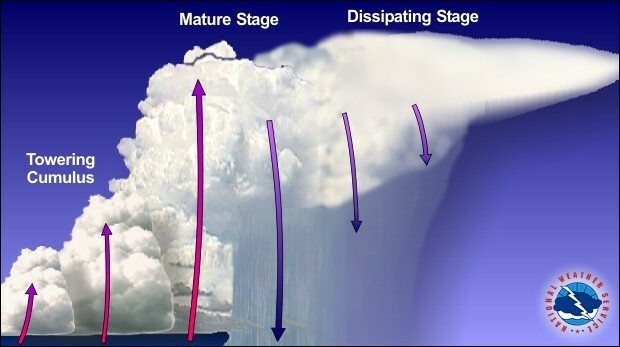 For example, in a veering wind situation the winds may be from the south at the surface and from the west at 15,000 feet (4,500 meters). 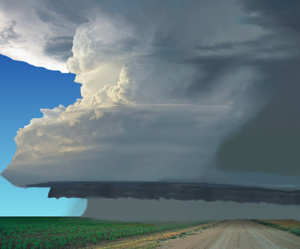 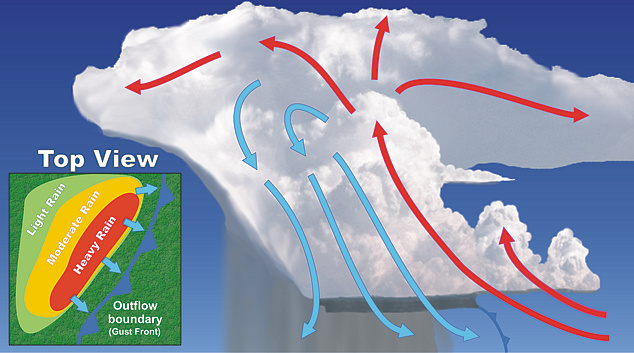 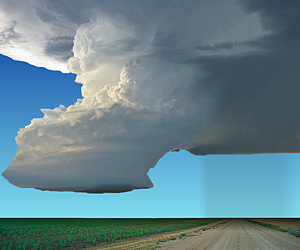 This change in wind speed and direction produces storm-scale rotation, meaning the entire cloud rotates, which may give a striated or corkscrew appearance to the storm's updraft.